Our clients believe in developing exceptional people to share their journey. They might be realising a life changing project or taking the whole organisation towards a new goal. To build better, they know they need to achieve better. They have a very clear vision of where they want to go - and how they want to innovate. As leaders, they need to find the time to lead - and as teams, to align with purpose and direction. They recognise the challenges that lie ahead. They know that, as much as they might want to change the world - the world can’t change by itself. That’s because ultimately, behind every visionary, and every purposeful organisation - is a powerful team. Our clients are passionate about the potential they offer. That’s why we are passionate about helping them bring about positive and impactful change. 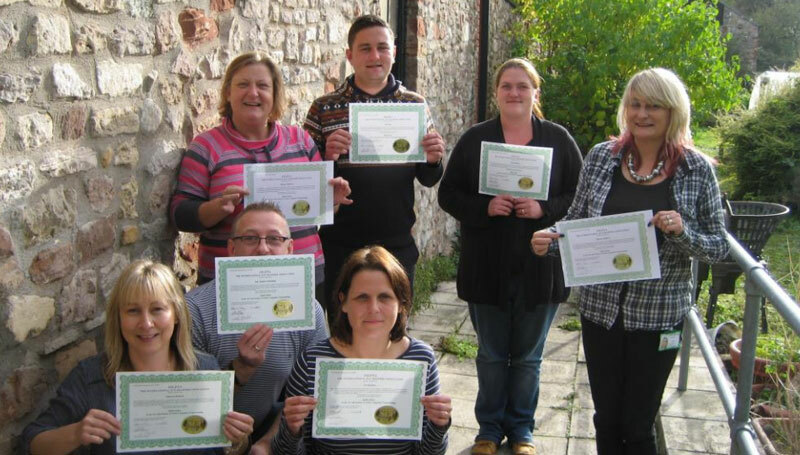 We were commissioned to run a two day Trainer’s training programme for the training team involved in Monmouthshire’s Cultural and Behavioural Change programme. They were already experienced trainers and wanted to refine their training style for maximum impact, learn how to design powerful training programmes really quickly, learn how to train people with different psychological preferences, learning styles and learning blocks and learn how to handle difficult situations in the training room. During the two day programme they were transformed from already good trainers, to amazing trainers. Each settled into and made the most of their own style and develop a quick ability to assess and respond to various training situations to get the most out of them, with minimum stress to themselves. The specific and supportive feedback from us and their peers enabled them to make in the moment adaptations to their delivery and the framework for training design they learned has helped them to significantly reduce the time they spend planning and designing programmes, which has been invaluable in such a busy and ever changing environment. “We commissioned Monkey Puzzle to undertake bespoke training for part of the team involved in our Cultural and Behavioural Change programme. They really understood the brief and importantly designed and delivered to it exactly, whilst adding inspiration and true insight. They met individual learning needs at the same time too, giving the people in the team a real boost of passion and purpose. If you're serious about organisational change then you're in the right hands with Monkey Puzzle, I'd say John McConnachie, Monouthshire County Council. Principal Training Manager. We delivered presentation skills training to Aberdeen’s Intermediary Sales Team. They had already had some presentation skills training but were looking for something more tailored, they wanted to be able to present with impact in a small meeting, let their own personalities shine out and be able to better read their audience so that they could assess what information their audience needed. They also had times when they were conducting presentation after presentation, which could be tiring and deflate their energy so they were looking to learn ways in which they could conserve their energy in busy times so that each presentation was a good as the last. Because of Karen’s previous experience working in Investments and presenting at large and intimate events, we were able to design a short course that delivered exactly what they needed. They received a lot of feedback and suggestions for developing their own personal style and everyone received a lot of personal attention. They did not want to become robots and like every other presenter, they wanted to stand out from the crowd when their audience saw investment presentation after investment presentation. The feedback from the training was that the team felt a lot more confidence in their own style and their ability to deliver a strong impactful presentation that would stand out. As a result they have received some great comments from Intermediaries and their internal stakeholders at Aberdeen as well. In the follow up half day session, we help them to iron out any creases in their style and remaining bad habits so that they were able to continue to develop, and because they had all attended the same course together, and what we teach is open and not mysterious, they continued to support each other to develop by giving each other feedback long after the course had completed. Freeways Trust is a charity that supports vulnerable individuals primarily adults with learning disabilities. They provide residential care and supported living services to people in the Bristol and Bath area. The aim of their services are to support people to be as independent as possible. For some people this means learning new skills and doing some tasks without support and creating links with people outside of Freeways, for others this may mean maintaining the skills they have for as long as possible. People are supported to take risks to learn and this is assessed to maintain their safety and security. Freeways support individuals using person centered plans and approaches and health action plans to ensure people’s needs are met in the way they choose to ensure the best outcomes. We were approached by Freeways to provide training for their Management Team. They have a team of over 30 managers who manage residential houses and other services. It was a dedicated team with a unique set of challenges. The widespread geographic locations made management level communication difficult and small teams working 24 hour shifts resulted in staff sometimes feeling isolated. The nature of their work, with service users often experiencing emotional as well as cognitive difficulties was mentally and emotionally tiring, as well as very rewarding. As in any good development programme, the senior leadership team were included in the programme and most of them trained to Practitioner level, both to use the skills within the business and to support the managers with integrating their learning. Those senior team members who do formal Supervision (which is regulatory requirement) were taught how to use NLP in supervision sessions to support managers in expanding their thinking and deepen their ability to apply NLP to resolve particularly difficult dilemmas and situations.